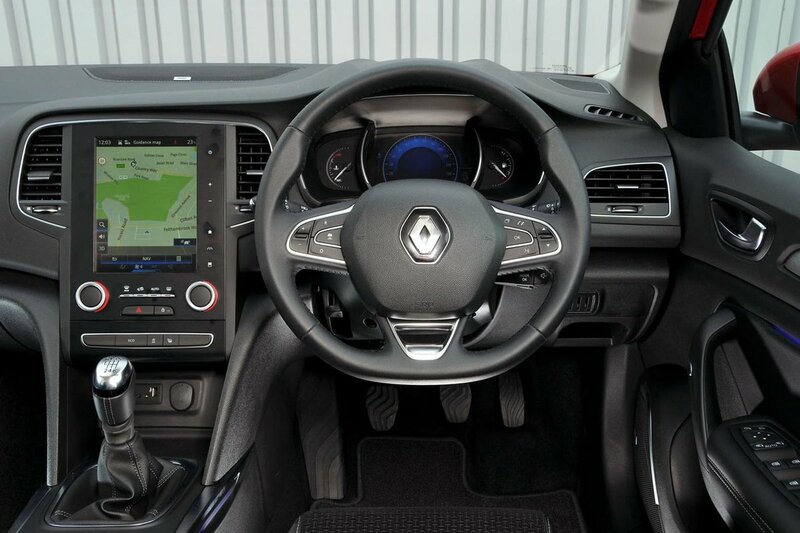 Renault Megane Interior, Sat Nav, Dashboard | What Car? The driver’s seat feels quite low to the floor and the pedals are nearer to you than is ideal – if you are tall it means you have more bend in your knees. That said, the steering has decent rake and reach adjustment, and the driver gets lumbar and seat-height adjustment as standard. Visibility is fine looking forwards, thanks to relatively narrow windscreen pillars, but look over your shoulder when reversing and the thick rear pillars cut out much of what you can see. However, all versions bar the entry trim get rear parking sensors as standard, and from mid-spec Dynamique S Nav trim you also get a rear-view camera - plus the bonus of front parking sensors - as well. It’s nicely finished inside, with the upper dashboard material soft to the touch and smart to look at. You also get funky ambient lighting that looks swish at night and configurable digital instruments on all but the most basic trim. The dashboard layout is generally well conceived so the switches fall easily to hand. It’s a shame that you need to delve into the infotainment screen every time you want to adjust the ventilation fan speed, but at least there are separate temperature controls to easily adjust the temperature. Avoid the most standard trim and go for the Dynamique Nav and you get a 7.0in touchscreen with sat-nav as standard. We’d recommend the reasonably priced upgrade for the portrait-style 8.7in infotainment system (standard from Dynamique S Nav models). Even though some of the menus take some familiarising to fathom, it’s still pretty easy to use, responsive and has clear graphics. Bluetooth and a DAB radio are also standard, but a system available in many rivals to mirror your smartphone in the infotainment screen isn’t available. GT Line trim replaces the standard front seats with sports seats that feature blue stitching. 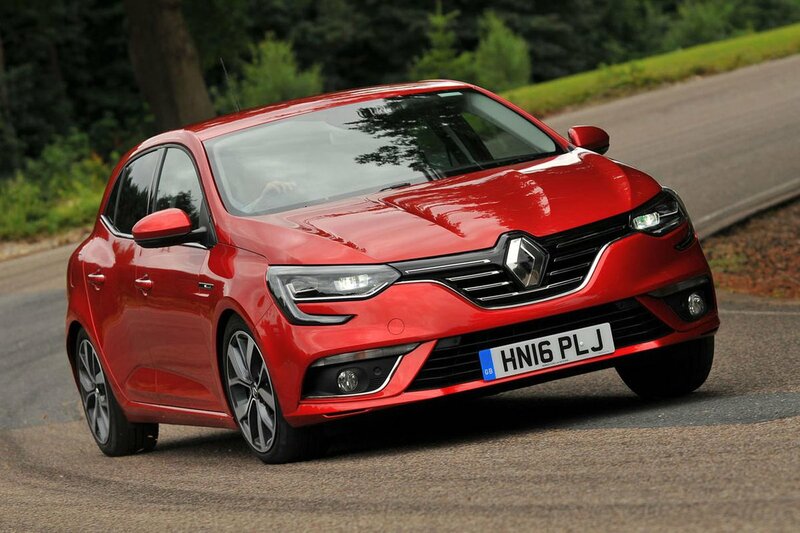 However, they are a pretty unnecessary addition because the car isn’t any quicker than the standard versions, neither is the suspension any different, and the low seats make getting into and out of the car a bit more difficult.